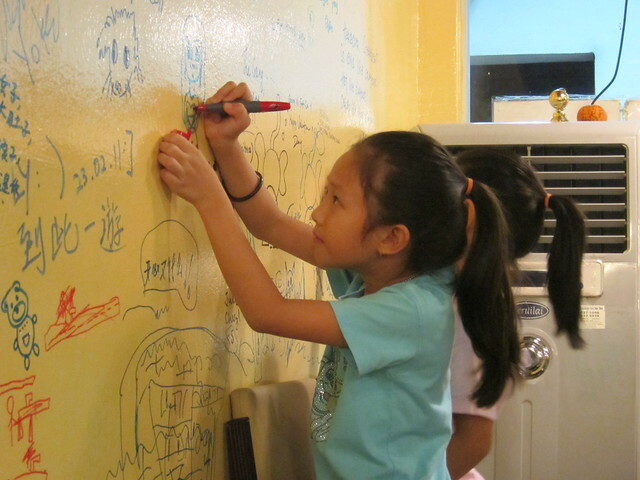 As a kid, i loved scribbling on walls. Every time i grab hold a pen to create my “masterpiece” on my canvas mum’s favourite wall (she loved every wall by the way), a kind of satisfaction (to do evil things in my days of innocence) fills my lil’ hands and my mind would wander off to Toy Land. TO STOP A CHILD FROM SCRIBBLING ON WALLS MEANS KILLING THEIR CREATIVITY!!! Thirst to continue this addiction of getting my creativity flowing, i found a place where scribbling on walls, is NOT labeled as vandalism. Back to good ol’ childhood times~ You should try it too! Look @ the cute little red heart next to a|x’s left ear! 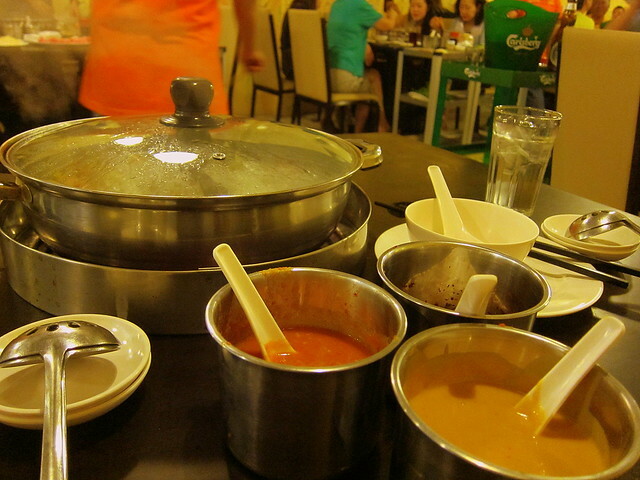 Whenever i blog about food, it is usually my mum’s fab cooking, or a restaurant really worth reviewing. 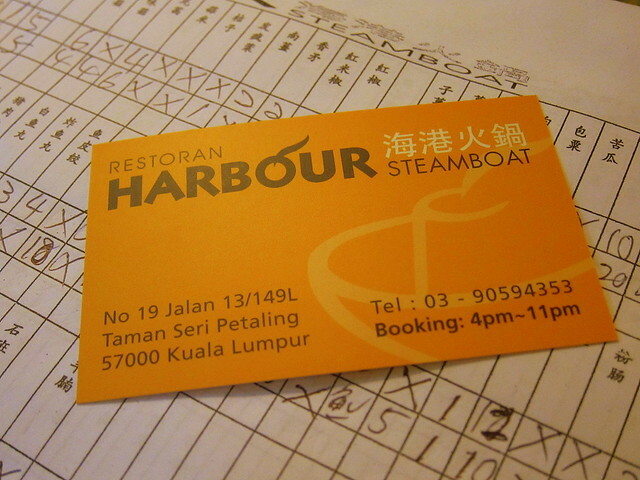 Having that said, whenever you feel like steamboat, do give this a try. And if you’re wondering, this is NOT a paid advertorial. 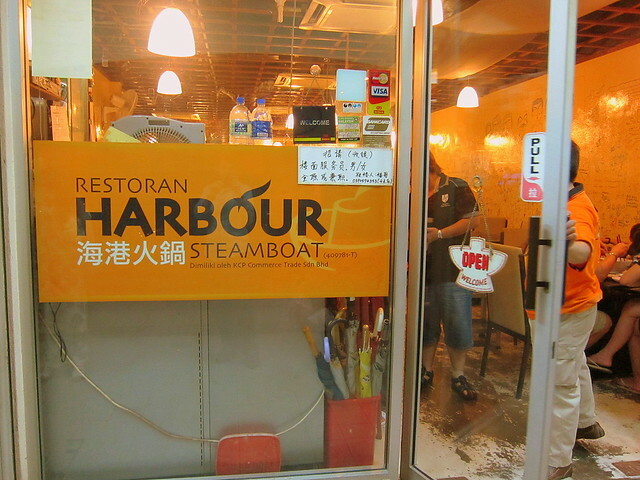 Harbour is my FAVOURITE steamboat place in the Whole Wide World. i’m not exaggerating. i stopped riding on other “boats” after this one. My family and i are #totallyhookedon! These 3 AWESOMESAUCE are seriously to die for. Tip : If you ever come ‘ere, order ONLY the meat stripes and CONSUME as many plates as you can NOM. 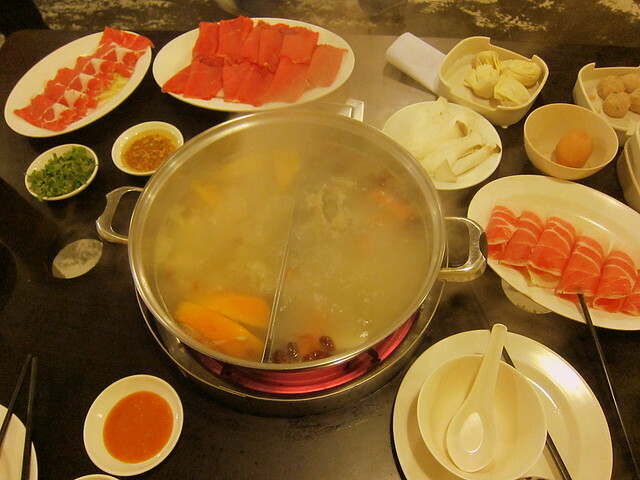 Other stuff are good too, but none of ‘em beat these thin slices of beef, mutton and pork. YUMS~! 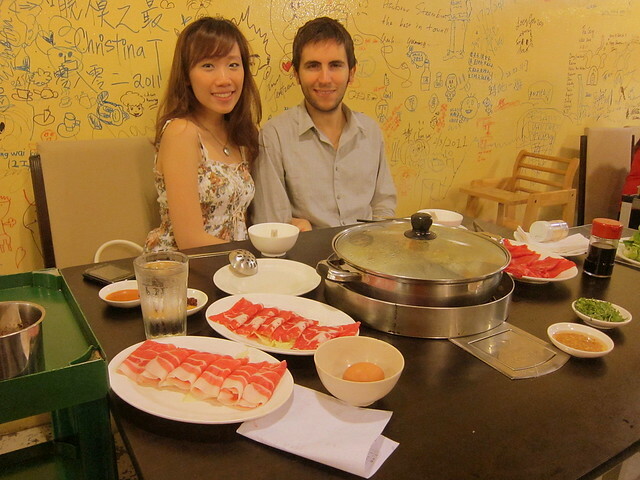 Carnivore couple surrounding themselves with red meat galore and a pot of delicious broth. If i’m not mistaken there are more than 6 types of soup broths you can choose from (and they don’t make you thirsty so i reckon there’s no MSG since my lips reacts to ‘em). 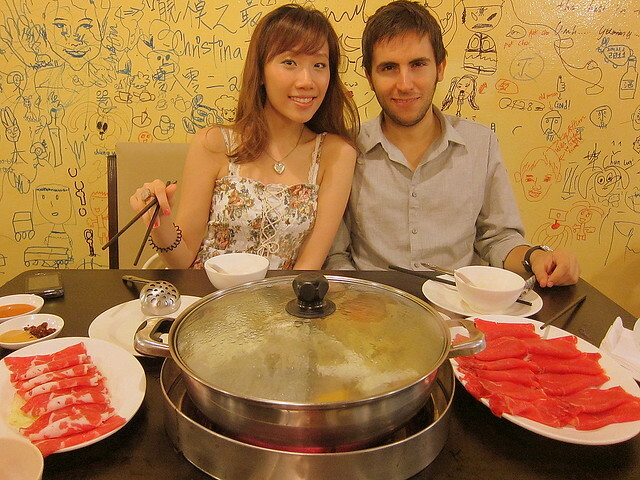 And here’s one last picture of us to end this gastronomic post. And oh, we forgot the poor egg :(. Will definitely go back there to get it next time! 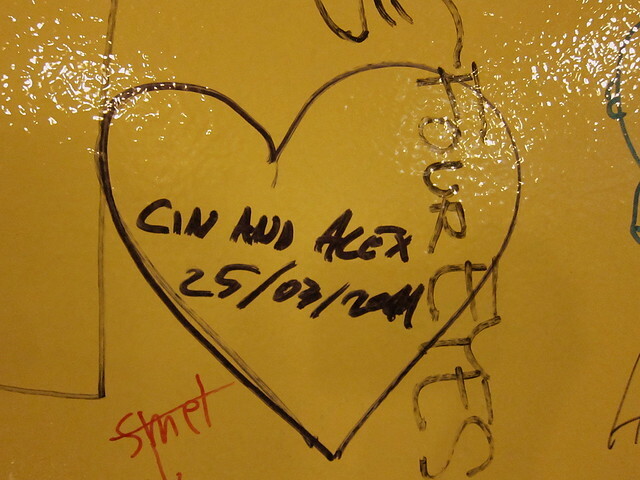 Remember to thank send me a flying kiss if you fall in love with this place just like we did! hahaha! but thank God he’s nOt! Wow. 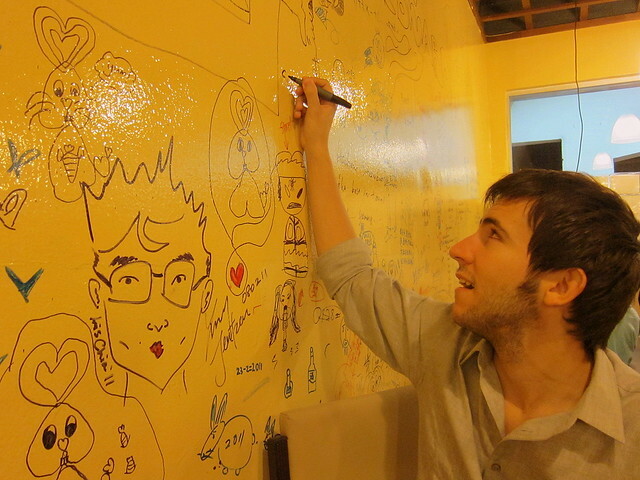 I love the idea of scribbling on the wall ! I think it makes the place look oh-so-special !!! So very cool !!! 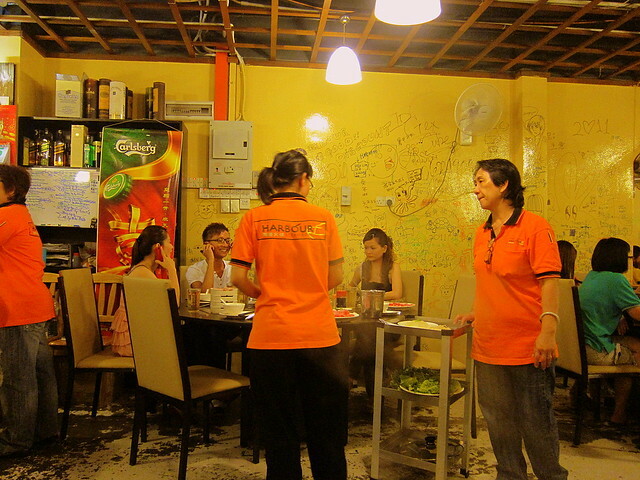 That, looks like a really cool restaurant. I must go! Although, i’ll just get caught up in doodling and everyone else will eat everything! why so? 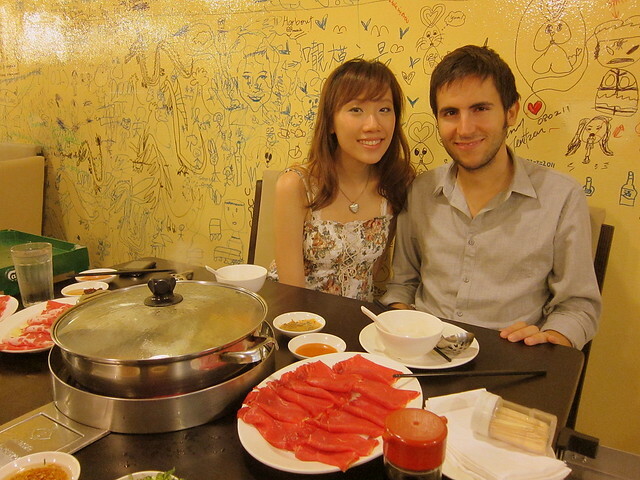 i’m sure u’ll gobble everything up. it’s too delicious!